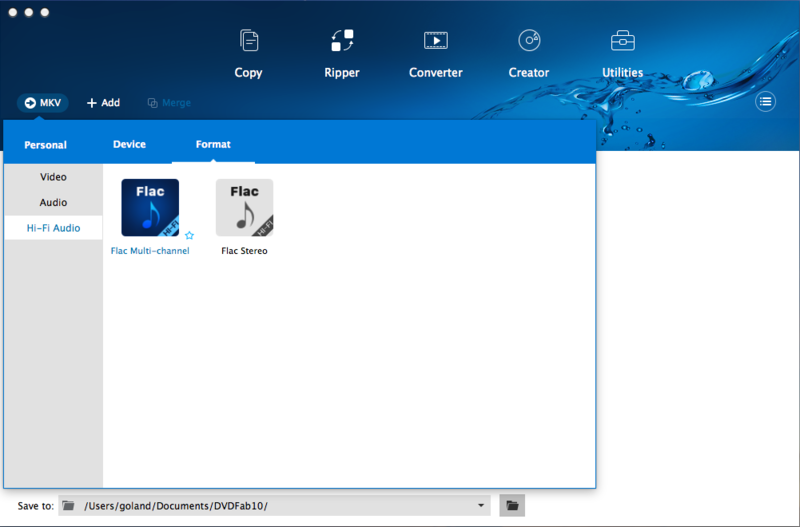 DVDFab Hi-Fi Audio Converter for mac can convert music and movie Blu-rays into lossless Hi-Fi audio files in FLAC or WAV formats, ready for your high-end acoustic system at home. 1.Added the support to remove the Cinavia watermarks found on The Shack (Blu-ray version) and Allegiant (DVD version).2.Added the '3D MKV.MVC' and '3D MKV.MVC Passthrough' conversion profiles.3. Added the conversion profile for the recently released Apple TV 4K.